In one of Robert De Niro's early defining roles, he portrays a young Vito Corleone as a man climbing up the ranks of the New York underworld in flashbacks during The Godfather: Part II. 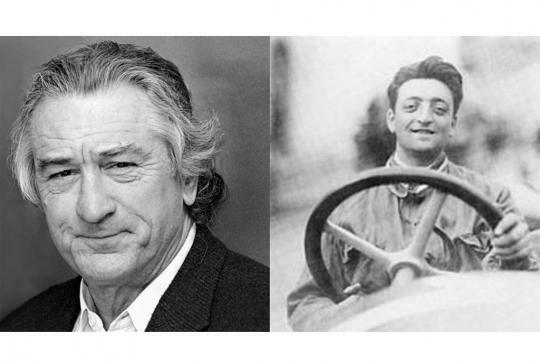 Soon, we might see De Niro stepping into the shoes of a godfather from the Italian sports car industry in a biopic about Enzo Ferrari. De Niro recently told an Italian newspaper that the film would go into production soon and would shoot in Italy. This project apparently holds a high priority for him, and in addition to starring, De Niro's company is co-producing. It could be a while before we see the film in theaters because the script is still being written. There were also reports saying that Clint Eastwood might sit in the director's chair, if he likes the story. Ferrari had a life every bit as fascinating as many fictional characters with stints as a racecar driver, an engineer and of course a canny businessman. He also held a long passion for motorsports, which could make for some very exciting scenes. According to The Guardian, the film would focus on Ferrari's life from around the founding of his sportscar company in the mid '40s through to his death in the late '80s. With characters like Jake Lamotta in Raging Bull and Sam Rothstein in Casino under his belt, De Niro certainly has shown the chops to portray a larger-than-life figure like Ferrari. Hopefully, he has retained the clout to get the film finished, though. Similar motorsports biographies haven't made it to the screen, such as the supposed Brad Pitt and Tom Cruise flick Go Like Hell or the Mad Men-inspired TV show about sports car racing in the '50s and '60s.